Here is the last general question of the year. My sincere thanks go to Jim Dell who has researched the subject and provided images, questions and of course the answers. Thanks Jim D it is much appreciated. Q41. There are two ships in this class. Name both of them. Clue – landlocked but can reach the ocean by travelling downriver through another country. Answer: Paraguay – ARP Paraguay C1 and ARP Humaita C2. The sea can be reached by travelling downriver through Argentina. 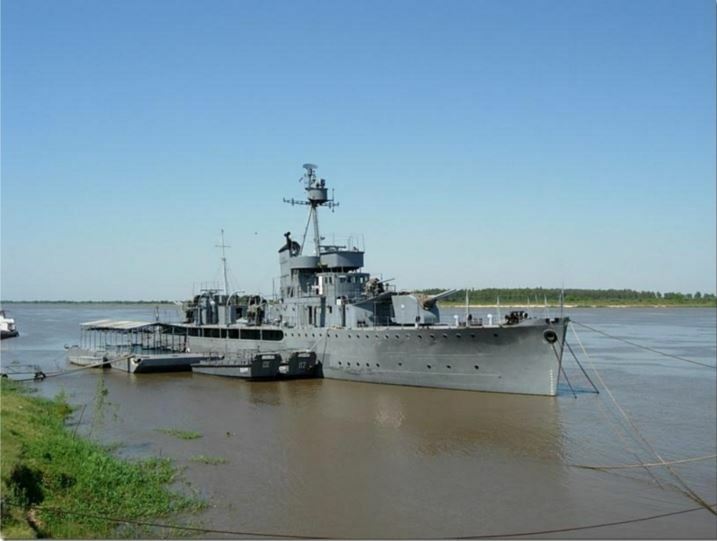 The Humaitá-class gunboat was a two-unit class of riverine gunboats designed by Paraguayan naval engineer José Bozzano and built in Genoa, Italy, for the Paraguayan Navy from 1928 to 1931. No comment….I am still sulking!! Oh Ok if you INSIST. Humaita (last a a tiddley one) Class gunboats of the Uraguayan Navy ARP Humaitá (C2) and ARP Paraguay (C1). Length 70m, 856 tons, steam turbine capable of 18kts, armed 4×4.7″ 3×3″ 2 MG and 6 Mines. If I’m wrong this time I’m retiring. My sincere thanks to Jim D for keeping me on the straight and narrow. Please go away now, Frank was far kinder than you.